In order to get the most out of our mental assets, we need to manage those factors that affect them. Our beliefs about ourselves and how we work can directly affect our success. Specifically, our beliefs about our intelligence and memory are of interest here. Is our intelligence something that is given to us through our genes or is it something that can change? The same question applies to our memory. Is our ability to remember something from our genetic heritage or is it something that changes? It’s a bit of both. We are no doubt endowed with certain abilities from our genetics. However, like our muscles our intelligence and our memory are things we can strengthen through regular use. Without regular work our mental muscles atrophy and if it goes long enough we may have a very difficult time recovering. 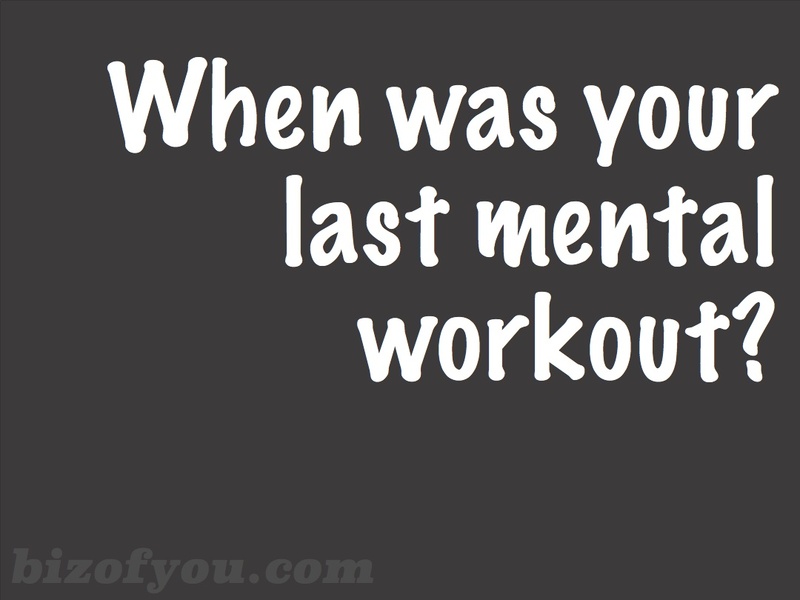 So what kind of mental workouts are we giving ourselves? There are many things we can do on a regular basis like reading, working puzzles, learning new vocabulary, a new activity or planning out our activities to achieve our objectives. When working our mental muscles, it is extremely important to recognize that we are fallible. Take for example our memories. We definitely re—member things. We reconstruct the past through the perspective of the present. Our present world view may have significantly changed since the time of a particular event, especially if we try to remember things from more than a year ago. As we age, remembering something from a few days ago can be interlaced with the falsities of our current expectations. Thus, it is incumbent on us to search for the root cause of events that are important to us when they happen. The root causes, once known, are less likely to be dismembered for later reconstruction in our future models of reality. Just like working out physically, we can give our selves mental workouts. Are you giving yourself workouts in body, mind and soul?